I’m in the mood for OTT transport services lately. 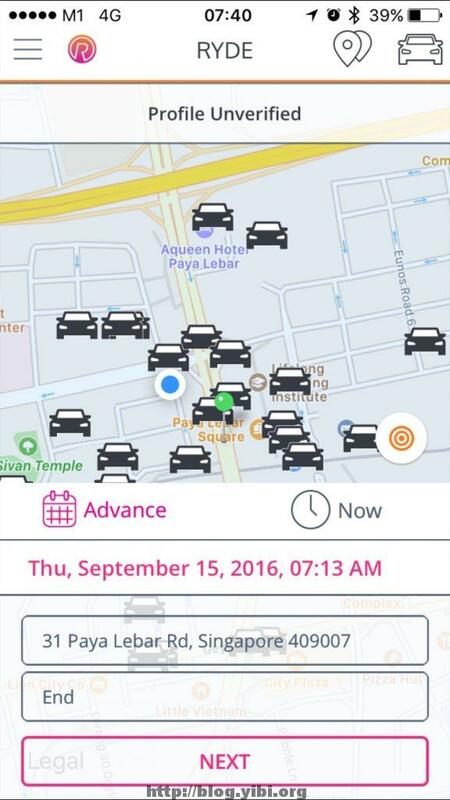 I tried UberX for the first time in Penang and ended up using it for the entire trip. I used UberX again at Changi Airport because I get cab drivers with attitude every time they learned that it’s a short trip. Carrying on with the mood, I tried this car pooling app called RYDE. Let talk about the experience before what I think about the app and how they operate. I made an advance arrangement to my workplace the night before the trip. Frankly, I was trying my luck. I was thinking of simply checking out the app. I was quite surprised when I got a match within minutes. My RYDE match (I prefer not to call him my driver) was this gentlemen called Louis. He has 52 reviews. Most of the users gave him very high ratings except for a odd few. The app suggests that we message or call each other to follow up. I didn’t do so because it was already 11+ at night. I thought I would message him the next morning half an hour before the trip, in case I get played out. Lol! Anyway, Louis messaged me first the next morning. He told me he would be arriving early so I proceeded to wait for him at the agreed pickup point. Turns out he just lives 1 street away from me. Upon arrival, Louis told me I could take the back seat. I took the front seat instead. We struck up a conservation very quickly. This is something I like about this carpooling and even UberX because the drivers are amateurs and has another life besides driving. And because of so, there are a lot of adhoc things we can talk about. There was a jam that morning because of the terrible weather so trip took longer than expected but I still got to my destination on time. On reaching, the payment was in cash based on a predetermined rate by the app. Overall, very pleasant trip. 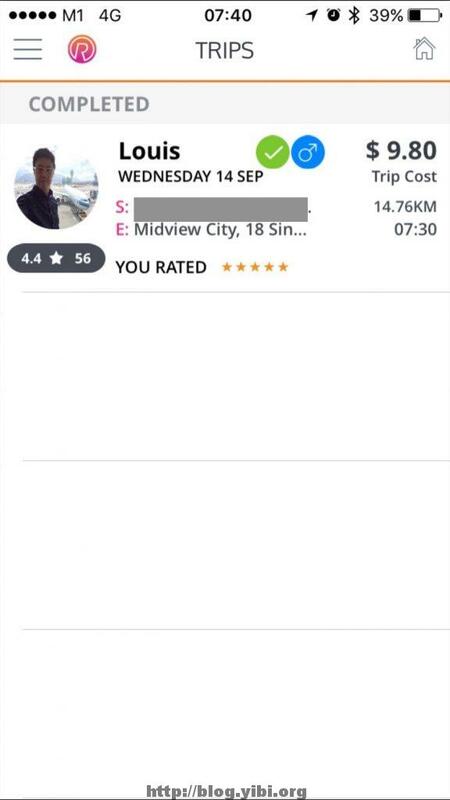 Of course I have a 5 star rating to Louis. Now onto the app and their model. 1. Cash payment. I would rather it’s credit card payment. This is car pooling so there might be a chance that both party do not have smaller change. Credit card payment would definitely be preferred. 2. Prepaid credits for each successful match. I don’t like this idea. It feels like a way to trap my money inside their system. I read that some people using GrabHitch can’t get matches for their destination despite trying numerous times. Same thing could happen here so the prepaid credit is trapped. They should just do away with this prepaid thing and coupled with credit card payment, take a small fee from the payment. Overall, I like the car pooling idea. It’s not something new but it has never been so accessible. Beside RYDE, there’s SwiftBack, UberPool, GrabHitch. The only problem is whether I can get a match. I tried GrabHitch and I didn’t get a match, so I was really lucky on my first try with RYDE. Cost is way cheaper than taking a cab but of course expectations has to be right. This is car pooling and not a cab service, so there’s no exclusivity. In my case, Louis’ sister was travelling together. I was perfectly fine with it when Louis asked if it was alright. And don’t expect the driver kind of service like cabs. Take it as sharing a friend’s fuel cost and enjoy the ride.